Over the last year I have had the pleasure of working with Jonathan and Drew on their newest season of Property Brothers. Through all the ups and downs of construction these two have been a lot of fun to work with and the results have been amazing! As an HGTV addict and lover of all things design, I wanted to take a few minutes to give all of you some tips from the latest episode – Heather & Franklin – which aired last night. So without further ado, here are 7 insights to this home’s lovely update. 1. When buying an older home (before 1978) remember that there could be lead and asbestos lurking in the shadows. Simple tests by a capable contractor – in this case John Rogers Renovations – can keep you on track for safety and success. 2. Damaged hardwood floors don’t necessarily have to be replaced. An experienced flooring company can save you thousands by simply patching the damage and then sanding and staining the existing floors. Still have some imperfections? That’s just character! 3. Don’t be afraid to challenge what’s in front of you. At Heather & Franklin’s we removed an exterior window to create a feature wall with the range and make the kitchen larger. With lots of light coming from the rear windows and door, the result was stunning! 4. Want a classic farmhouse sink but afraid it will look too “country”? Most sinks can be mounted backwards for what is called a “contemporary” installation. At Heather & Franklin’s we did this to keep the look fresh without losing the character. Pair it with a more traditional faucet and there is charm galore! Or keep it contemporary with a commercial-style long neck faucet! 5. Using a light gray grout on the subway tile backsplash keeps this kitchen looking fresh and modern while the traditional white cabinets create a timeless style. 6. Want granite, but don’t want the glossy look combined with glossy tile? Get honed! Honed granite, like tile, has a matte surface that still reflects light but is much more subdued as can be seen at Heather & Franklin’s. 7. 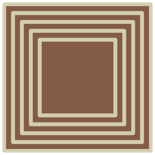 Lastly, get the look of marble on a fireplace, or other wall, without the cost, using Glazed Porcelain Tile. It’s beautiful, resilient, and at 1/5 of the cost of natural stone can be a fantastic alternative! 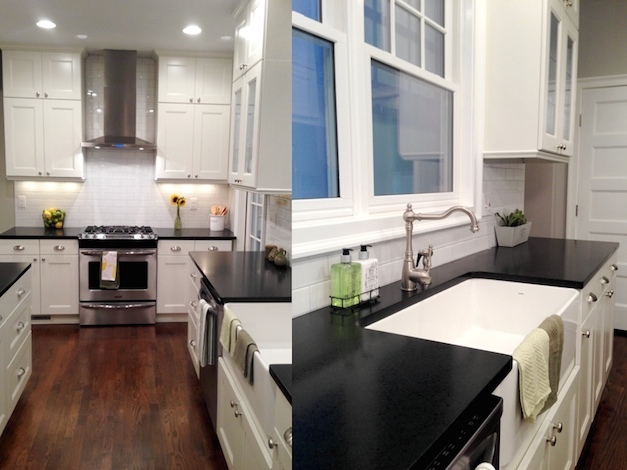 Heather & Franklin’s home used Carrara Florentine Glazed Porcelain from Daltile. Check out the Before and After photos at facebook.com/fasrooms and don’t forget to follow us and/or check back to get insights from upcoming episodes! Happy Designing! This entry was posted on March 27, 2014 by fasrooms in Dining Rooms, Kitchens, Living Rooms and tagged #PropertyBrothers, interior design, John Rogers Renovations, new design, remodeling.